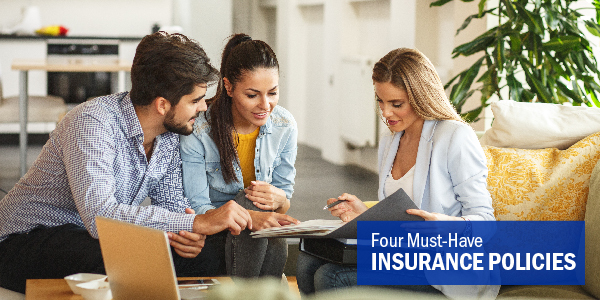 Practically every guide to setting off on the right financial foot begins with the following warning: you must have good credit if you want to get anywhere. 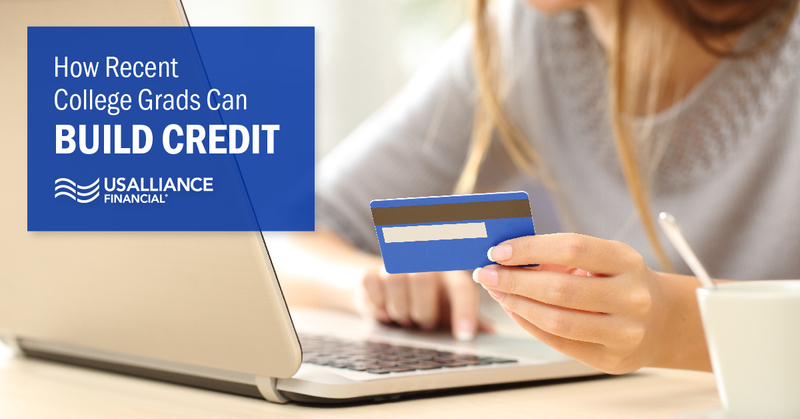 Your credit profile helps lenders, utility companies, landlords, and sometimes even employers get an understanding of how responsible you are with your money. But how can you prove yourself through your credit profile if you need credit to get credit? Secured credit cards are like credit cards with training wheels. Since financial institutions don’t have your credit history to tell them whether or not you’re a responsible borrower, they have you provide “security” by putting down a deposit. For most cards, your deposit acts as the limit for your card. You use a secured credit card in the same way you would use a regular credit card--make purchases, get a statement, and make a payment by your due date each month. If you fail to pay, the financial institution takes your deposit. These cards typically have high interest rates and aren’t meant to be used forever, but they can be great for people with no credit if used responsibly. To build a payment history, use the card monthly and set up automatic payments. To avoid paying high interest fees, pay the card off in its entirety each period. Over time, your credit will steadily grow! Unlike typical loans, with credit builder loans you cannot access the money until you’ve paid for the loan in full. For example, if the loan is $500, you’ll make monthly payments over a period generally ranging from 12 to 24 months. After this period is up, the bank or credit union tells the credit agencies that you have a positive payment history, and the funds are released to you. One way of thinking of a credit builder loan is to consider it as a locked savings account. Each monthly payment is really being put into an account that you’ll be able to access at the end of the predetermined period of time. The benefit over a traditional savings account is that your payments become part of your credit profile. One of the simplest ways to build your own credit is by having someone add you to their existing credit cards. In recent years, “piggybacking” has come under intense scrutiny because people were using the method to artificially inflate their scores; however, credit reporting companies have become more savvy in how authorized users usage of the accounts is configured into a credit score. That said, using a credit card account responsibly as an authorized user will still help you to establish credit so that you can open your own accounts in the future. Another way of building credit with the help of trusted family or friends is by asking someone to co-sign a loan. When someone co-signs a loan for you, their credit score and financial history supports your ability to obtain a loan, oftentimes making otherwise impossible loans possible. For example, you may not be able to get a car loan on your own with little or no credit, but with a co-signer you will. However, you must make sure that you’re willing and able to make on-time payments each month, or risk driving a wedge in your relationship. Each on-time payment makes a positive contribution toward building your credit profile. 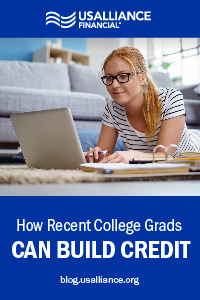 Building excellent credit doesn’t happen overnight, either. Since 35% of your credit score is based on your payment history and 15% is based on the length of time your accounts have been open, building your credit is something that takes time. You can’t hurry time, but you can focus on the other factors that make up your credit by keeping balances low and making payments on time. 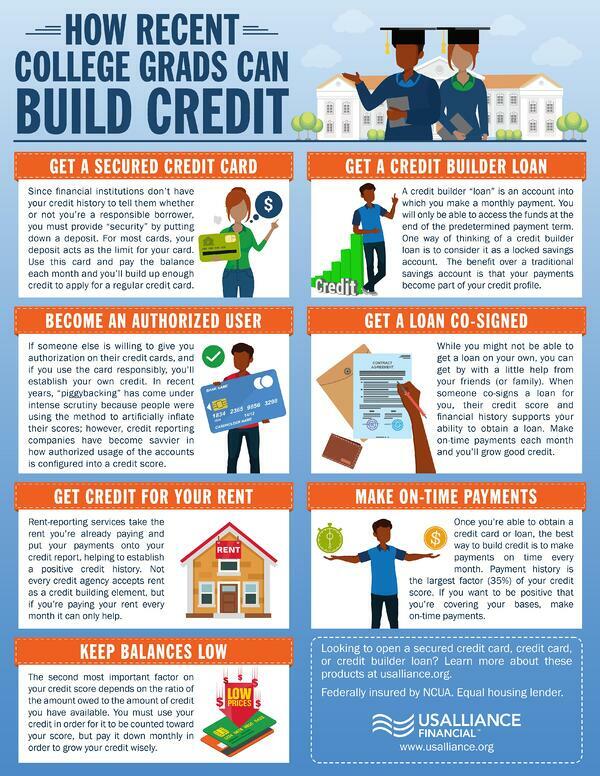 Want more tips on building your credit? Download our eBook.